Music, myth, and magic mix—in this two-volume fantasy masterpiece by a New York Times–bestselling author that is a “joy to read” (Publishers Weekly). 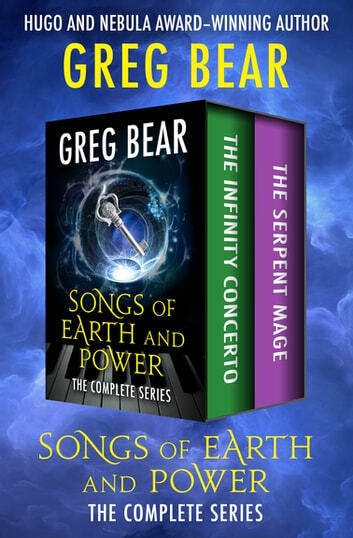 Hugo and Nebula Award–winning author Greg Bear explores the power of music to open a portal between worlds in this pair of brilliantly imagined fantasy novels. The Infinity Concerto: Following the instructions of a virtuoso composer—whose controversial Concerto Opus 45 is actually a song of power—young poet Michael Perrin passes through a gateway between Earth and the Realm of the Sidhedark, where faeries reign by rule of magic, and Michael’s epic journey begins . . . 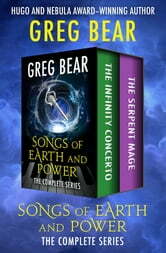 The Serpent Mage: After five years trapped in the Realm of the Sidhedark, Michael has returned home to Los Angeles. But the song of power has weakened the veil between the human and fairie worlds, and the Sidhe have followed him to the other side . . .